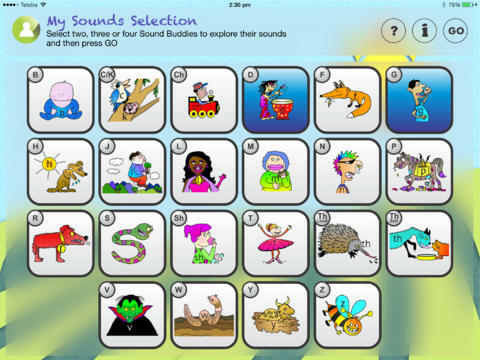 This app is aimed at helping young people to learn and practise specific sounds that are required for clear speech. It is an Australian app, although there is an American version too so it is specific in the accent to those countries. However the approach that the app uses means anyone could realistically use this app outside of those countries education settings but those countries would definitely benefit the most. 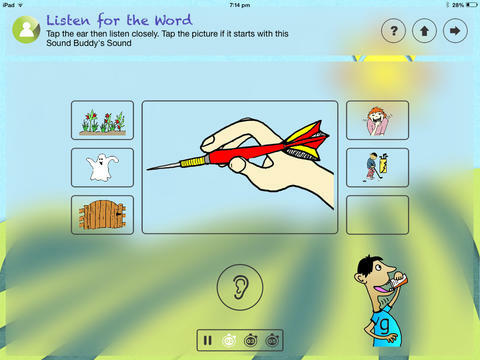 The app uses what it describes as a multi-sensory approach to help young people access the 22 consonant sounds of the English Language. This includes allowing the user to record their own version of the sounds which can then be assessed. 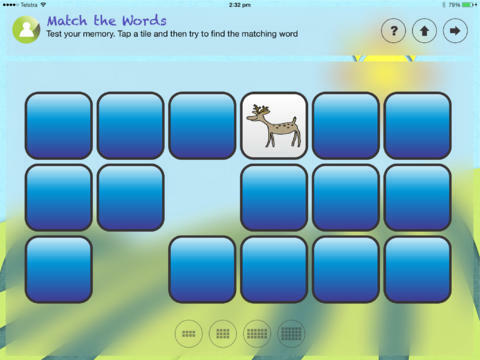 The app, on first look seems though it is set up for a speech and language therapist to use with their students as there is a specific log in that requires the user to type in the name of the young person they are working and then the name of the therapist and their email, although the main purpose of this is to save the sounds to allow for a quick start when a user reuses the app. This is mainly so that the therapist can be emailed with the young person’s results so a continual assessment can take place on their progress. However a teacher may well also use this screen for their purposes and once the information has been typed in the screen does not appear again. Alternatively a user does not need to type anything in to access the app. Within the app there is a lot going on and this makes it sometimes difficult to manoeuvre through all the features. There is a guide available and the website that links to the app from the developer also have videos that will help any user get the best from the app. I would suggest that any user reads the guide and/or utilises the videos before they use the app so that they are aware of the full potential of the app but also to aid in them being able to move around the app successfully. I’m sure that over time someone would become extremely proficient at using the app however it’s not always self-explanatory how to move through the pages and what all the icons mean. The graphics are OK although where the background is quite stylised the pictures within the app are aimed at a much younger audience and this doesn’t entirely work and is a little distracting from the actual app. The sounds though do link in perfectly well with the approach/aim of the app and the targeted audience. The features within the app though are where the strengths really lie. In suggesting that they use a multi-sensory approach they are certainly not lying. Every trick in the book is used to help young people improve their abilities in reading and phonemic awareness but it is also done in such a way that the teacher/therapist can continually assess the young person’s progress. 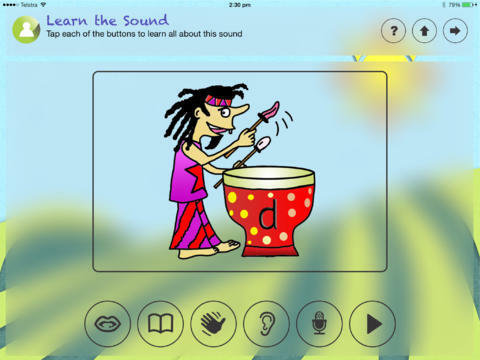 When the user is learning a new sound they can do so in a number of different ways, whichever way suits them the best, or even utilising all of the methods to help further compound their knowledge of the sound. 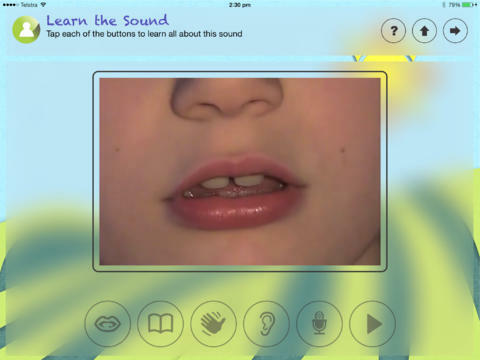 Users can listen to the word being pronounced; see a video of a young child pronouncing the word, a hand cue linking to the word to help them remember, as well as the ability for the user to record the sound too. The gamification element within the app also encourages the user to stay engaged and continue to progress through each of the sounds. I would suggest that this were the type of app that would be used solely within an education setting. Due to the approach and also the set-up of the app I would suggest that it would probably be difficult for a young person to easily access the app and navigate it on their own without support and supervision.